Observing Children Moving is part of the Movement Observation Series, two unique resources (installed software) designed to promote high quality movement education and physical education for children aged 3 – 14 years. Observing Children Moving is a software package that will be of great value to everyone working with children in Early Years education. Observing Children Moving is the product of a Physical Education Association of the United Kingdom (PEA UK) research project and was created by a team of experts in children’s movement development led by Patricia Maude MBE. PEA UK joined forces with British Association of Advisers & Lecturers in Physical Education (baalpe) in 2006 to become the Association for Physical Education (afPE). PEA UK worked in partnership with Tacklesport (Consultancy) Ltd to produce the resource (supplied on CD-ROM for installation on the users hard drive). For ease of understanding, the resource is referred to as ‘the CD-ROM’. Observing Children Moving includes over 50 video clips of children performing a range of movement capabilities (i.e. roll, block build, run, climb, throw, catch, write, jump, clay activity, gallop, kick, strike). Children at different stages of development are included and the capabilities are shown from a variety of camera angles. Accompanying each of the 12 movement capabilities are observation tasks, grids analysing the movement pattern of each child and suggestions of activities for children at different stages of development. Also included are ‘Hotspots’ which indicate key points to enhance technical performance. 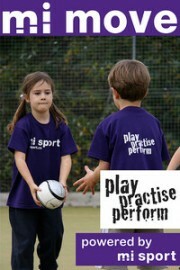 These are designed to assist practitioners in helping children to improve their performance. Helping children to learn – ideas for practitioners to use in their movement work with children. Reflexes to Writing – a broad overview of motor skills.